Supporting the work of your janitorial team, this Soft Broom Complete with Handle is an essential tool. Supplied as a full set, this cleaning utensil has been manufactured from a durable and lightweight plastic with soft bristles on the head. 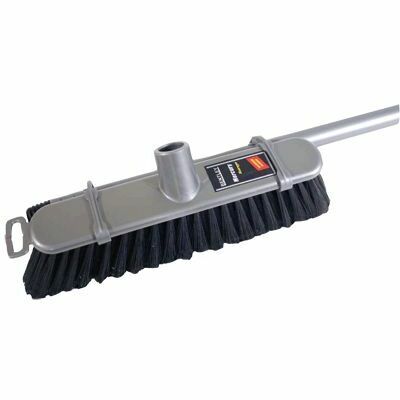 Suitable for all general forms of sweeping both inside and outside, the extended handle can be screwed into the head in seconds. Slim in its design, this soft broom stores easily in janitorial cupboards while boasting a smooth surface that is easy to clean. If you're looking for compact storage options, consider our Mop and Broom Holder which is available online here for an exceptional wholesale price.